Hall of the Mountain King: Review: Anti-Mortem, "New Southern"
Hard to believe that I almost passed on this record. I saw the band name Anti-Mortem and immediately thought death metal — even though, I guess the name would technically mean anti-death. I couldn’t have been further off the mark. New Southern, in fact, is the finest piece of Southern-fried hard rock that I’ve heard since Texas Hippie Coalition’s Peacemaker a couple of years back. Hailing from Oklahoma, Anti-Mortem brings together a variety of rock influences, ranging from Metallica-style thrash to a more commercial brand of modern hard rock to classic Southern rock. That results in a record that should have at least something for just about any fan of any kind of hard rock. New Southern is a heavy and hard-hitting album, but the beauty of it is in the abundance of huge hooks. Just about every song on the record has at least some part that you’ll still be humming hours later. That begins from the first song, “Words of Wisdom,” just a ripping straight-up hard rocker with a big chorus. 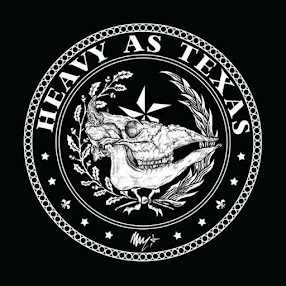 Then, the title track brings us our first taste of the Southern flavor with a soft, slightly twangy opening that leads into a strutting, attitude-filled heavy riff. Third track “100% Pure American Rage” gives us another look that shows some thrash influence from acts like Metallica and Testament, and the stage is set for the rest of the record. Anti-Mortem, over the course of New Southern, seems to occupy an interesting position. There’s enough commercial appeal to much of their music that I could very well see them getting played on current rock radio. Semi-ballad “Black Heartbeat” seems to be tailor-made as a radio hit with its slow build to a catchy, hummable chorus, and I could even see the big hook of “Hate Automatic” getting a little airplay, even though it’s a bit more aggressive number. On the other hand, they have enough edge to appeal to an audience that wouldn’t go in for commercial rock radio. “I Get Along with the Devil,” which mixes a swaggering hard-rock riff on the chorus with a thrash tempo on the verse might be destined to be an MMA entrance theme, but never a radio hit. There’s even more chest-thumping swagger on “Path to Pain,” and while I normally roll my eyes at this kind of lyrical machismo, both of those songs make it work for me, and they’re among my favorites on New Southern. Of course, Southern is in the title of the record, and while there are few overtly Southern rock moments on the record, there’s a certain attitude that permeates most of the tracks. Then, there are the last few tunes on the record where it really comes out. “Stagnant Water” starts with vocalist Larado Romo delivering the opening lines in a whiskey-soaked, gravel-filled voice. There’s a big plodding metal riff for the verse, but then when the chorus rolls around, we get a pure Southern groove that’s right out of the swamp and one of the most memorable on the album. “Truck Stop Special” finds Romo again putting his vocals out front early as brother and guitarist Nevada Romo delivers a dark, distinctly Southern-flavored piece through a talk box. Then it blows up into a big, memorable rolling hard rock riff with plenty of attitude.Finally, they close with “Jonesboro,” which finds Larado Romo opening with a very bluesy vocal that builds to a lion’s roar as the heavier part of the song kick in. The finale probably has more of their geographic roots than anything else on the record. There’s a lot of talent and, more importantly, a lot of fire on this debut. Larado Romo has a great hard rock voice and Nevada Romo and Zain Smith deliver those monster guitar riffs the style needs with bassist Corey Henderson and drummer Levi Dickerson holding down the grooves admirably. In this day and age, pure old-fashioned hard rock seems to be a dying art, particularly among a younger generation of musicians, who, understandably, want to try to push the envelope beyond what previous generations did. But it does this old rocker’s heart good to hear a record like this coming from a group of teens and early 20s. 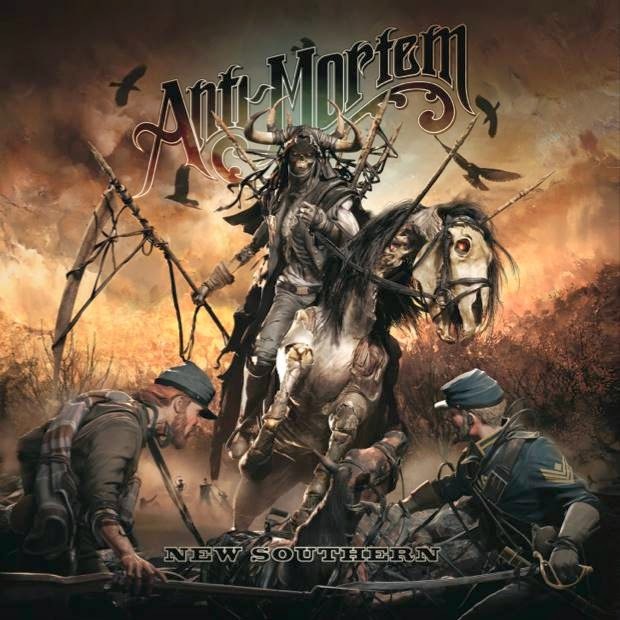 There are few bands out there now doing it as well as Anti-Mortem, and New Southern will certainly rank high among my favorite records of 2014.